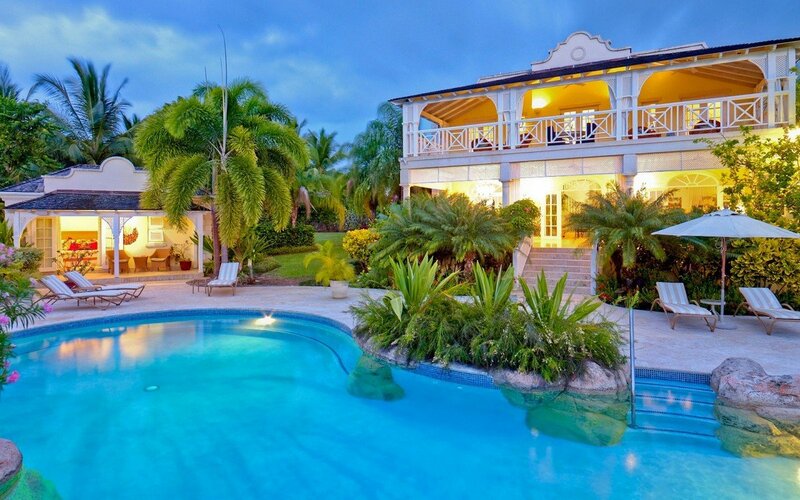 Villa Calliaqua Barbados. 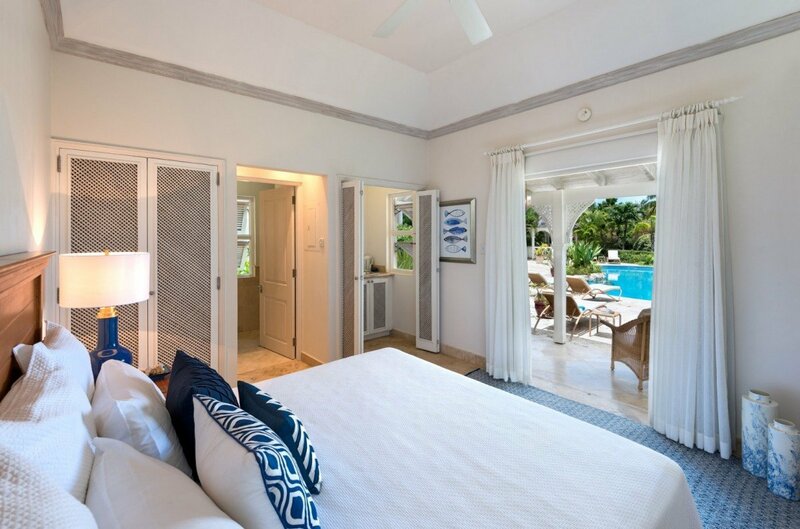 Guests at Villa Calliaqua in the Sugar Hill Estates of Barbados have access to an amazing number of amenities, comforts and privileges. 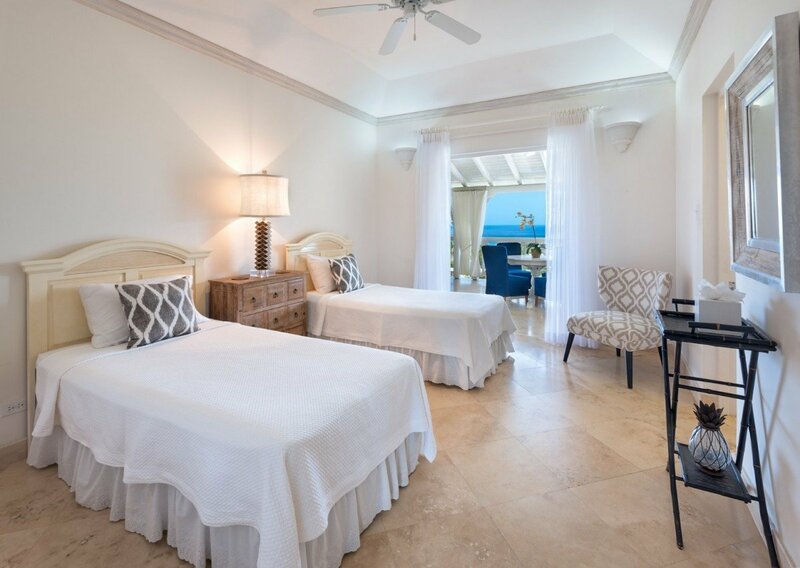 Though they are just a short distance from the beach, they have private access through the Royal Westmoreland Beach Club. 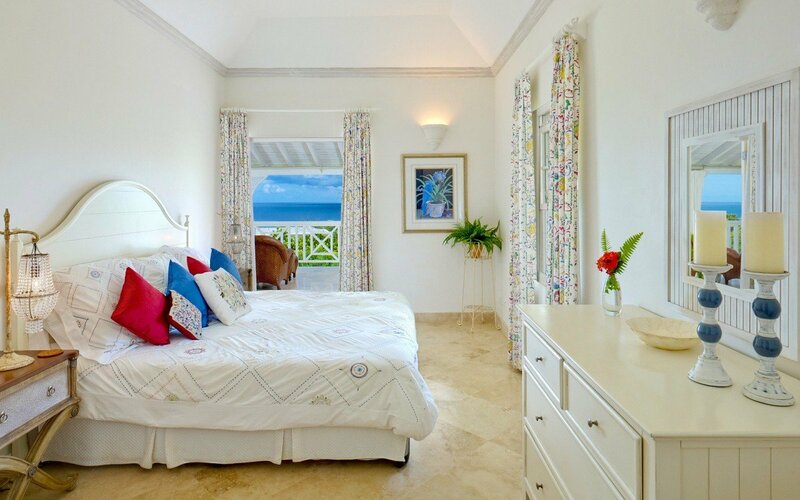 They also receive Sugar Hill Club membership, meaning access to the champion golf course, the spa facilities and more. 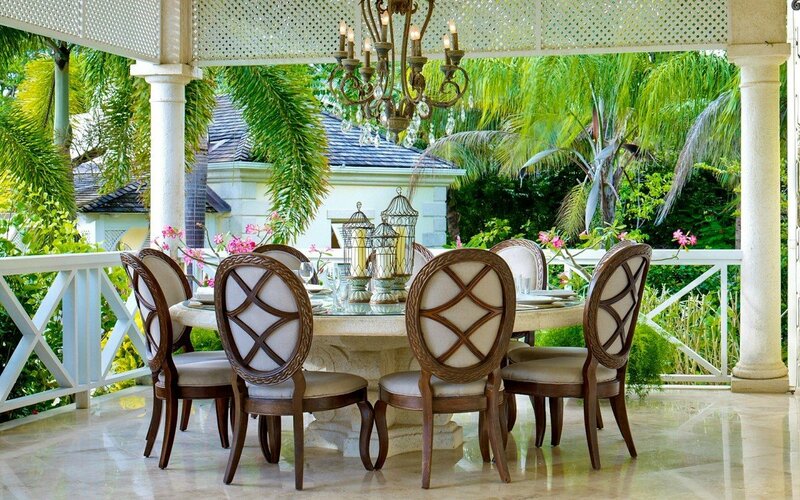 The question is whether you will even feel the need to use them because the villa itself is so opulent, comfortable, and amenities-rich. 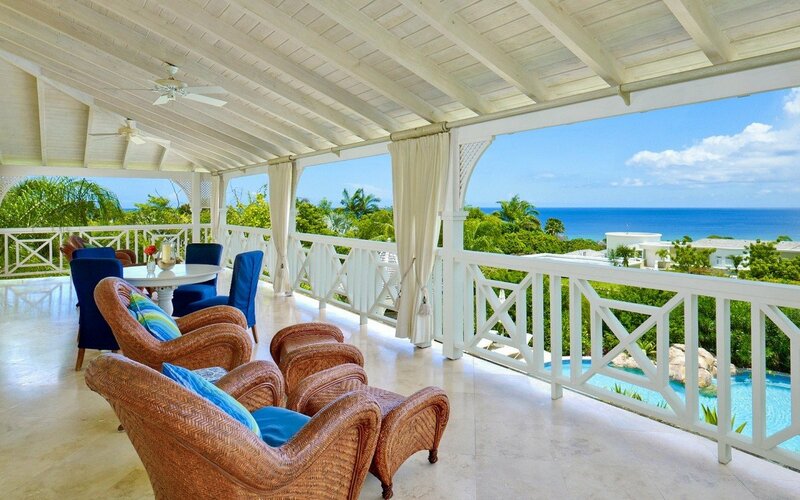 A five-bedroom property, it is spacious and private. 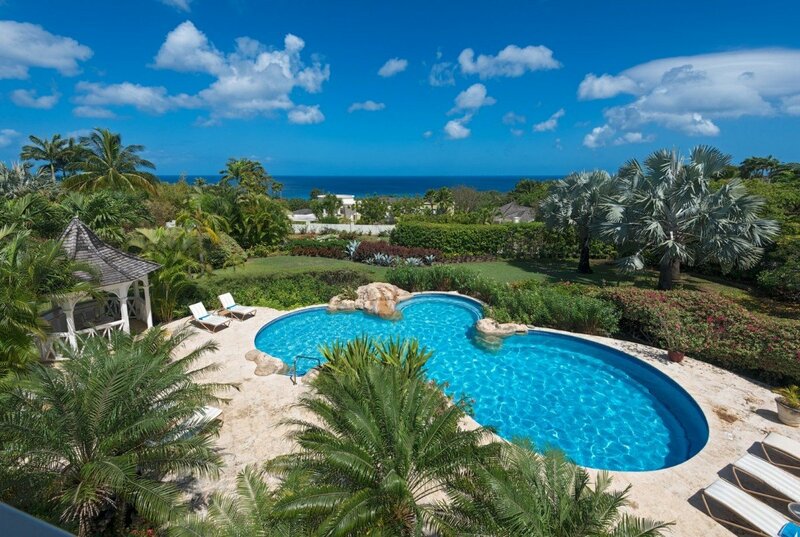 Tucked into more than acre of mature gardens and plantings, it offers unprecedented views of the sea as well as the tropical setting. 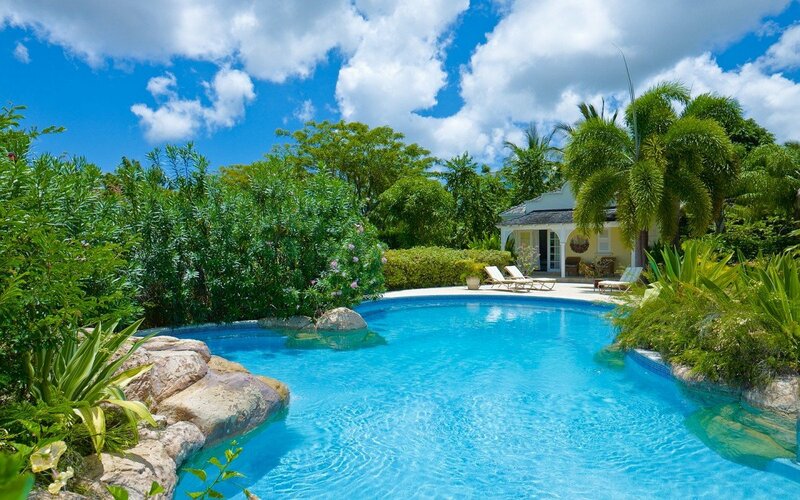 You can enjoy it all from the gorgeous swimming pool area. 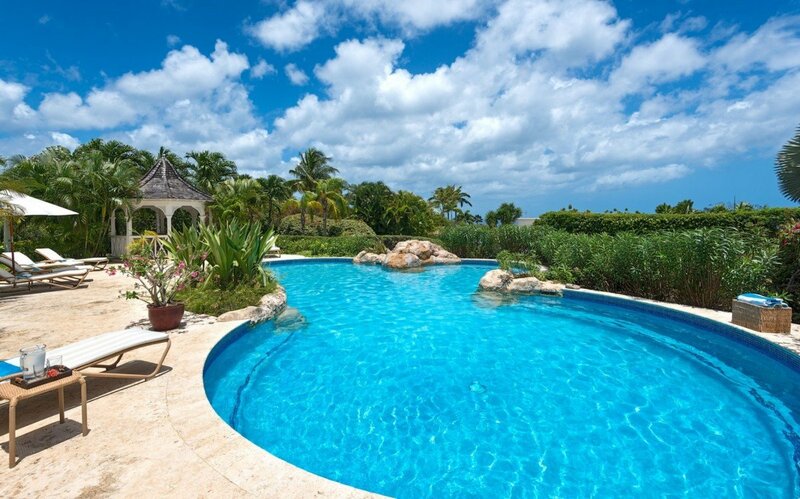 Here, potted palms add a natural touch to the graceful curves of the pool. 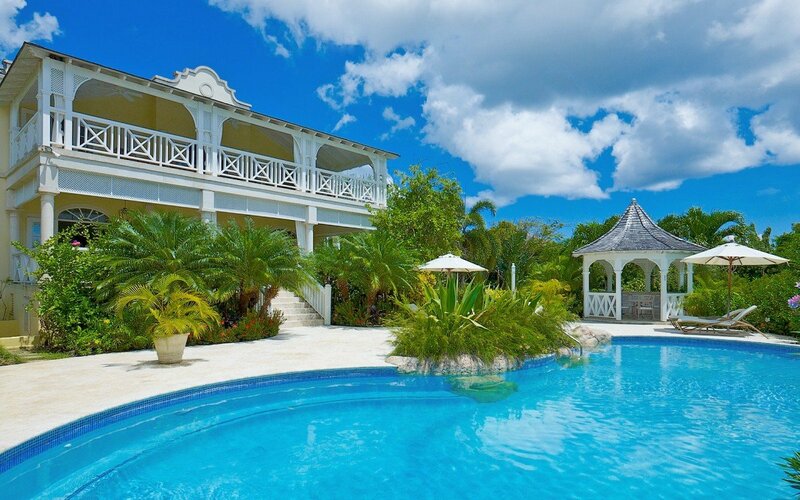 A gazebo, sun beds, even some shadier areas of the pool will provide you with hours of total relaxation. 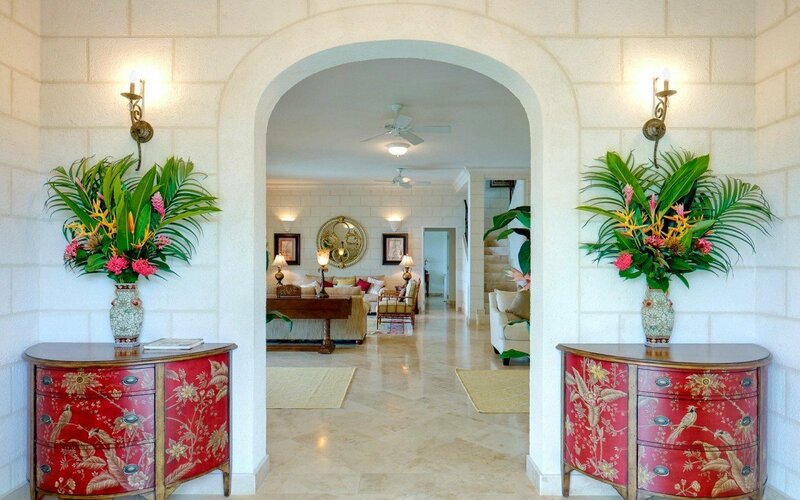 When you are ready to get out of the sun, the grounds await, but so too do the large and luxurious interiors of the villa. 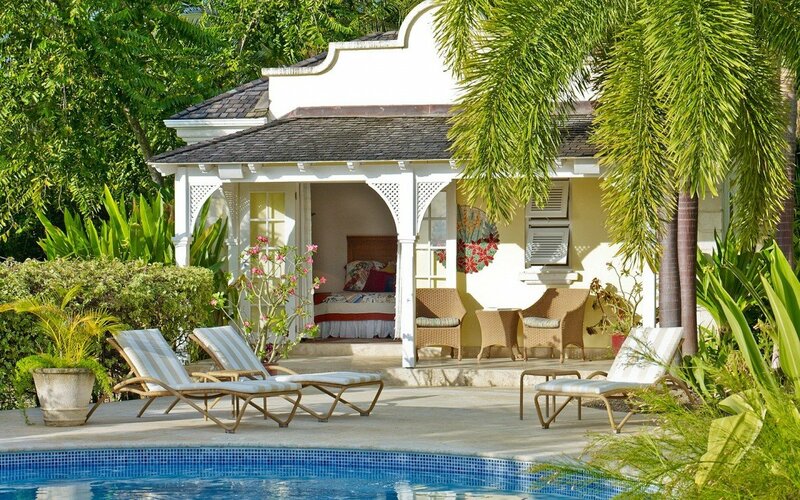 Just steps from the pool is the verandah that is amply furnished with a lounge and al fresco dining arrangement. 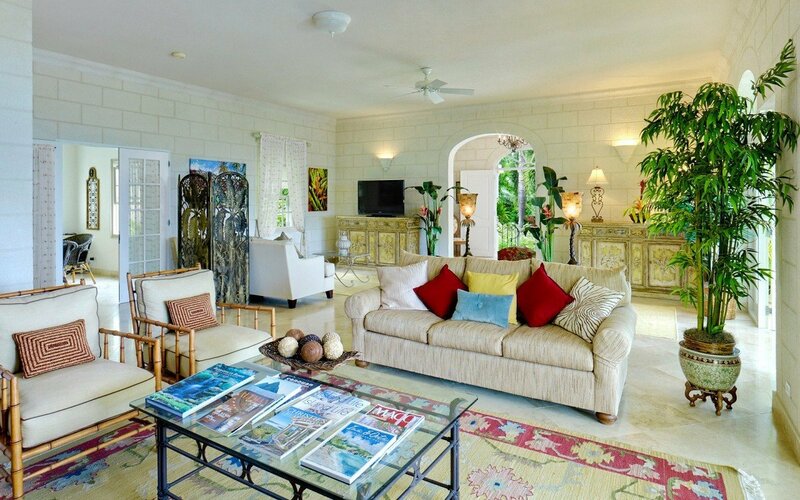 Stepping through the arched door, you enter the great room that features gorgeous décor and an array of sitting areas, including a television lounge. There is the indoor dining room and the full gourmet kitchen here as well. 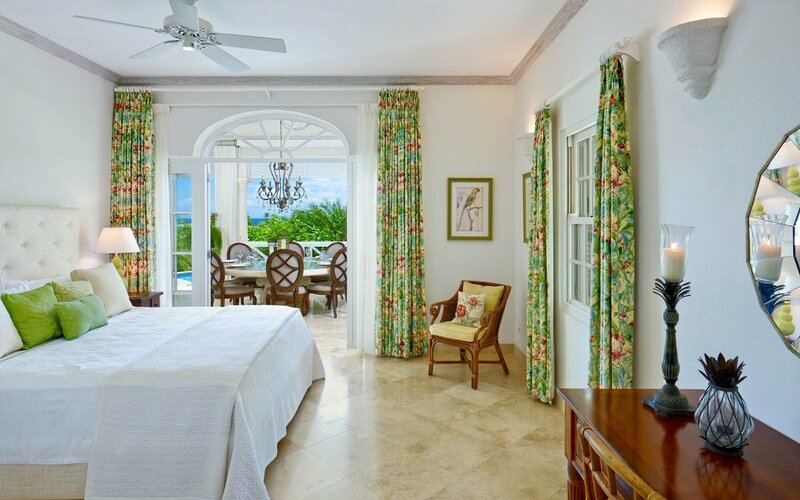 The villa is fully staffed with a cook, maid, and laundress. This means you have no worries about meal prep, and so you can dedicate your hours to the pursuit of leisure and relaxation. 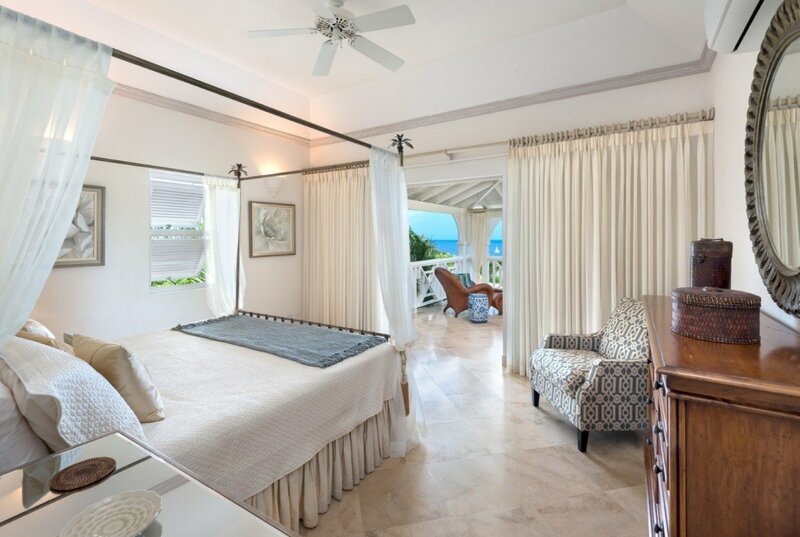 At day's end, you can retreat to one of the luxurious bedrooms. Four are in the main house and a fifth is in a private bungalow at the bottom of the garden. 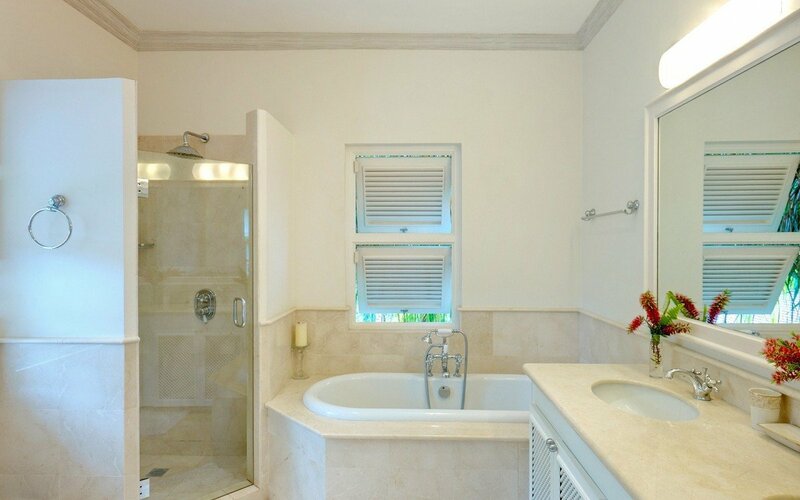 All are en suite with verandah or terrace access. 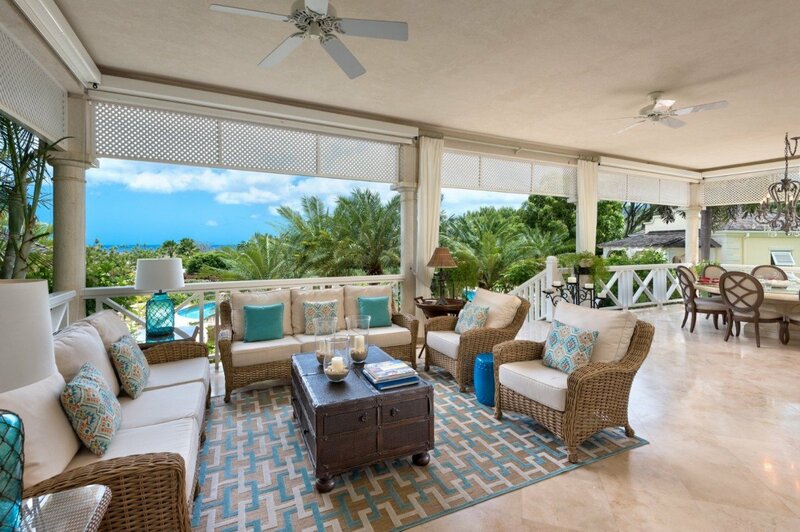 When you want luxury and convenience, the Villa Calliaqua is the perfect choice.